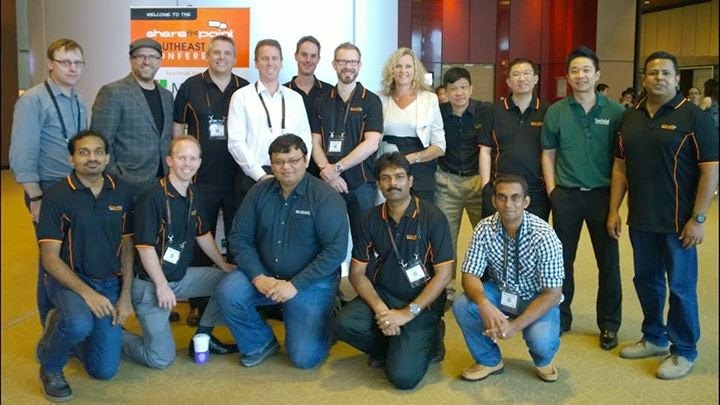 The great Share-The-Point Southeast Asia Conference for year 2014 just concluded yesterday. It had a good line up of sessions that worth for Developers, Business people as well as any other type of SharePoint enthusiasts. I got a great opportunity to interact with the other speakers who has many experiences and knowledge to share. My topic was "Using Lync for Cost Effective and Efficient Communications". It was really good preparation experience as it is one of the rare moments I shared the business aspect of a technology like this. Also it provides a really good support for maintaining notes along with the OneNote integration. I also spoke about the reasons why large organizations use Lync as well as how can organizations save when they get adopted to Lync. This included two case study videos by Integreon and Miami Date Public School. The last section of the presentation was about the Lync-Skype Connectivity. The potential it brings as well as the ability to unlock the Business to Customer scenarios during the daily businesses. 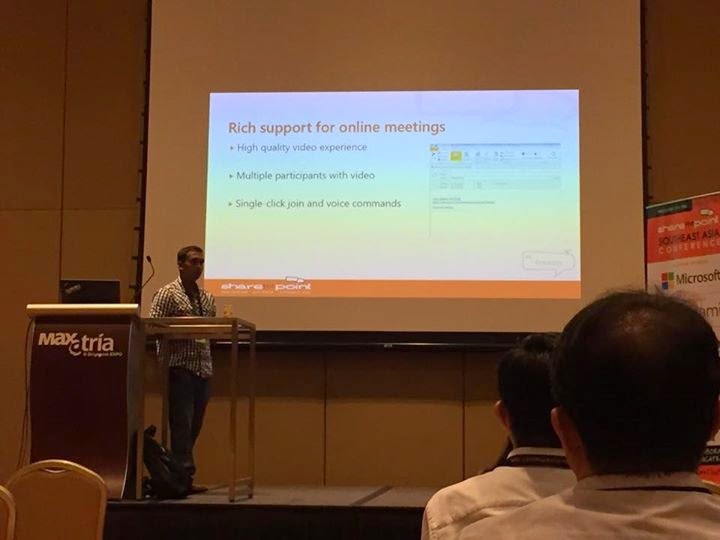 As Microsoft has announced that Lync will last only till next year and it will be renamed as Skype for Business, the audience was so interested to know the major changes and customer conversion issues that can happen during the process. Though Microsoft has not announced these in advanced to the public, there are some assumptions we could make through the hints and earlier changes they made on different platforms. A speaker group photo was captured after the conference presentation sessions were concluded and before the "Ask the experts" session. The photo is taken from a Facebook shared photo by Michael Noel. Each session had many things to learn to everyone. I was so excited on Michael Noel's session on "Tips and Tricks for Planning Hybrid O365 Environments". Also BI session by Prabath Fonseka which showed some cool demonstrations on how to use BI and interact with the OLAP data. Also the "Future of Social Collaboration" by Randy Williams that showed some new directions. All in all very good sessions presented by speakers which covered many aspects of the present and future of the IT enterprises. Hats off to the organizing team including Debbie, Mark and everybody else who had put a great effort to make the event go very smoother. Thanks for all the sponsors including Microsoft for making this happen at this level.